South Indian Kerala was bred by Sacred Seeds in the late 1970’s and is one of the finest sensimillas to be found anywhere in the world. 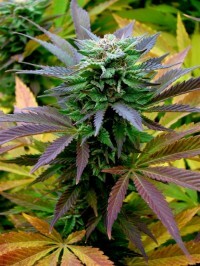 It was crossed with Skunk No.1 by Sacred Seeds to give an earlier maturation and bigger yield. It has the look of skunk with the taste and smells of India.